A New York University alumni friend of mine told me about a controversy brewing at his alma mater. It stems from a larger controversy, far away on the small island nation of Singapore. Dr. Thio Li-Ann, law professor at the National University of Singapore, has been appointed as a visiting scholar on human rights to NYU’s law school beginning this fall. But Thio’s track-record on human rights is in question. Journalism provides something unique to a culture — independent, reliable, accurate, and comprehensive information that citizens require to be free. A journalism that is asked to provide something other than that subverts democratic culture. This is what happens when governments control the news, as in Nazi Germany or the Soviet Union. We’re seeing it again in places like Singapore, where news is controlled to encourage capitalism but discourage participation in public life. Something akin to this may be taking root in the United States in a more purely commercial form, as when news outlets owned by larger corporations are used to promote their conglomerate parent’s products, to engage in subtle lobbying or corporate rivalry, or are intermingled with advertising to boost profits. The issue isn’t just the loss of journalism. At stake is whether, as citizens, we have access to independent information that makes it possible for us to take part in governing ourselves. To me, this is what is exciting and daunting about a life lived, in part, on the Internet. Those worlds of information open up, dare I say, revolutionizing how free information and conversation can be. I did go to the Zocalo talk, “Age of Rage: “Is the Internet Making Us Mean?,” which I mentioned in my last post. It turned out to be more of a discussion along the lines of, “Why are People Mean to Journalists on the Web?” To quote from an article by Andrew Sullivan in The Atlantic once more, “Writers can be sensitive, vain souls, requiring gentle nurturing from editors, and oddly susceptible to the blows delivered by reviewers. They survive, for the most part, but the thinness of their skins is legendary.” I think this explains pretty well the focus of Wednesday’s panel, where journalists were the three speakers. And it’s a topic I can sympathize with certainly, but it’s still not as interesting as a more direct conversation about the effects of cyberbullying, Internet hate campaigns and the potential neurological effects of social networking. I’m not as worried about anonymous people burning journalists in comment sections as I am about what is happening to those people who lose their inhibitions (or create new ones) as they go virtual. Speaking of going virtual, a piece I co-authored for the Far Eastern Economic Review has just showed up as a blurb on their site. It’s subscription only though — yes, some people on the Internet do that. Two more random links: Zocalo does some pretty cool stuff, including giving shout-outs to really great writers. And let’s be honest, globalization and connections and entrepreneurship aside, the Internet is pretty awesome. 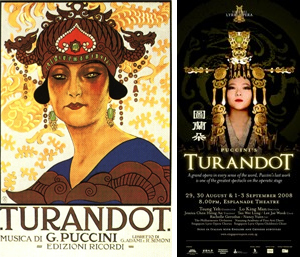 Marketing material for the 1926 Milan premeire of Turandot on the left, and for the 2008 Singapore staging on the right. Like most people, I don’t know where I first heard the famous aria Nessun Dorma of Puccini’s Turandot. But my interest in the opera has certainly been revived several times recently. Maybe it was Pavarotti’s triumphant (if staged) performance of the aria at the 2006 Torino Olympics. Or maybe it was the recent Beijing staging of the opera, with a new ending that revisited Puccini’s version of a Chinese folk song instead of recapitulating Nessun Dorma. Both of these revivals, for me, took place (via YouTube and podcasts) in Singapore. It’s an interesting vantage point, to see how an Italian opera set in “legendary China” — Peking more specifically — is interpreted in Asia. Some criticize Puccini’s work at worst as Orientalist, and more diplomatically as chinoiserie. So when I read that the Singapore Lyric Opera is staging a production at the Esplanade, I bought a seat (back, center) to see how they would interpret it. While the quality of the music was not awe-inspiring (though, Nessun Dorma takes my breath away under almost any circumstance), the staging was interesting and rich. Along with the simple but grand sets, came sometimes grammatically awkward English translations on two side screens, as well as Chinese translations below. The audience laughed heartily at the wise-cracking ministers, Ping, Pong and Pang, and other elements of the show most often criticized as stereotypical. China had banned Turandot for 70 years. Its brutal title character, a steely princess who has her suitors beheaded for not answering riddles correctly, was not an ideal heroine. The opera was, however, an inaugural piece for the Beijing National Center for the Performing Arts, with its new ending by a Chinese composer. Puccini died before completing the opera and the most commonly staged ending is by his contemporary, Franco Alfano. It’s interesting that the Hong Kong-born director of Singapore’s production, Lo King-man, has also endeavored to localize the opera by adjusting for Chinese sensibilities, though he sticks with Alfano’s version of the end. “For us Chinese, to see it being set in the Qing Dynasty [1644-1911], we lose that exotic and remote and fairy-tale and legendary feeling that some time there could have been such a woman like this,” he told Time Out Singapore. Lo took a darker approach, using bronze metallic colors and simple, peasant costumes for the chorus, instead of the flashy Qing and Ming Dynasty costumes and sets of more famous stagings of the opera. It was meant to look older than the Qing Dyanasty, Lo said. These kinds of adaptations create cultural webs — Italians interpreting Chinese, then Chinese interpreting Italians interpreting Chinese — that say a lot about how cultures get appropriated and reappropriated, by the West, East and every multinational production (such as Singapore’s) in between. Read the article Orientalism or chinoiserie? 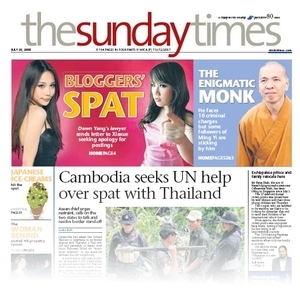 The front page of the Sunday Times (the Sunday edition of the Straits Times) on July 20 had a big graphic about a really sensational story of two “warring” bloggers. 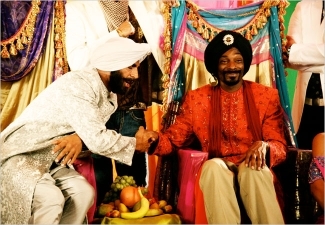 One is suing the other for defamation. Here’s a follow-up that’s free on the Straits Times website. backfire on the two involved. 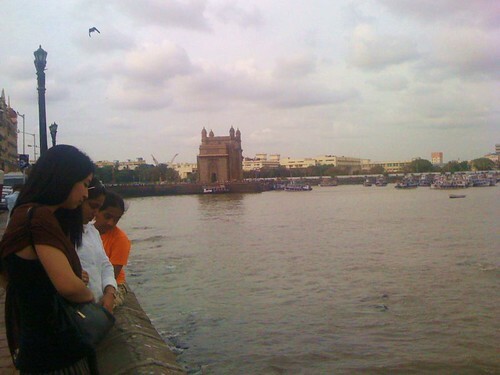 organisation and an individual can be settled quietly. Reading this opinion piece, I wonder if such a frank critique of the use of defamation suits has been made about Singapore’s most famous defamation suits. Do politicians have the same rights to lose in suing each other? If there are some locally published articles or opinion pieces on the topic of how defamation works (or doesn’t work) in Singapore, please do comment and leave links.